Goldsmiths, University of London is launching a Centre for Creative and Social Technologies (CAST) to run alongside its existing centres in media, social sciences, arts and the humanities. 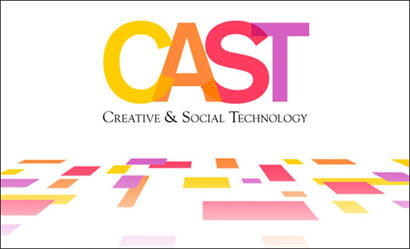 According to a release, CAST, which is based in the computing department, offers courses combining research and practical training, “focusing on digital innovation in creative and social technologies”. The postgraduate students are given the chance to work with CAST’s Innovation Partners, including internships recently at the Wall Street Journal, Telegraph Media Group and the Royal Society of Arts. Our programmes encourage a hybrid skill set and critical thinking that are necessary for sustainability and creativity in disciplines challenged by the digital revolution. CAST is now accepting applications for the 2012/13 academic year for MA/MSc digital journalism, MA/MSc digital sociology and MA/MSc creating social media. To find about more about CAST visit the website here. This entry was posted in Journalism and tagged centre for creative and social technologies, education, Goldsmiths University of London, Robert Zimmer on April 18, 2012 by Tabby Kinder. Early today (18 August) we asked journalists to give their advice for those getting A level results today and those about to start a degree or a postgrad in journalism. The best tweets of advice provided the basis for the 10 things every journalism student should know . Here are some of the other tweets of advice from journalists, students and those in the industry. 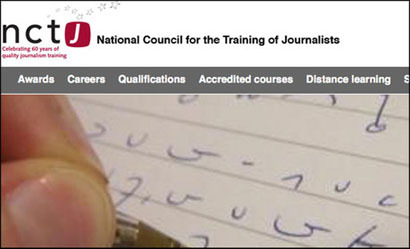 This entry was posted in Social media and blogging and tagged advice, education, Journalism, journalism training on August 18, 2011 by Sarah Marshall.